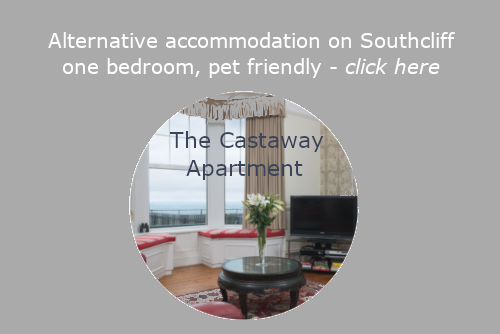 The Bay View is a large 2 bedrooom apartment on the ground floor, with panoramic sea views. Pet Friendly. The master bedroom has a fabulous four poster bed (kingsize), and there is a spacious twin bedroom with two single beds. The apartment has masses of character - polished wooden floors, marble fireplace, grandfather clock, fully equipped kitchen, bathroom with walk-in shower, as well as a private rear courtyard for catching the afternoon sun. The impressive living room has Cable TV with Sky Sports, Movies etc. The apartment is family friendly, although please be aware the living is across the shared hallway. 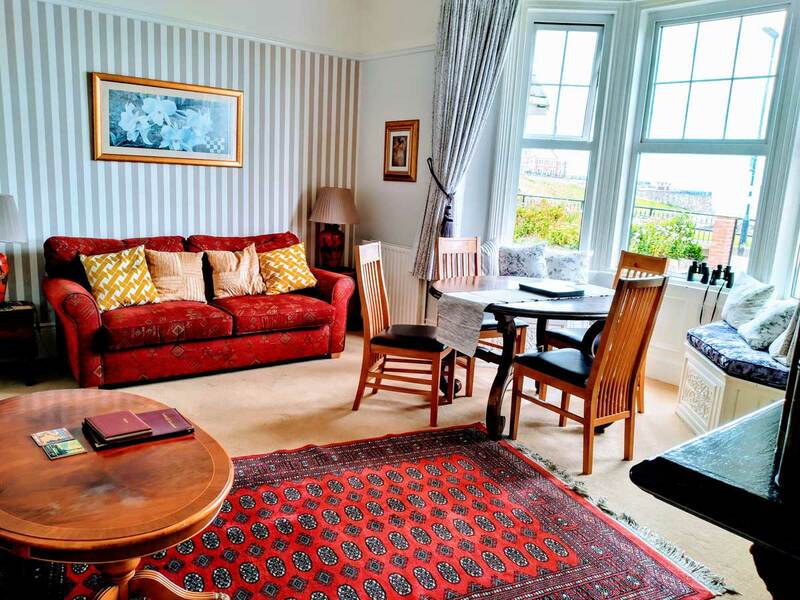 The Bay View is a firm favourite with guests who love to return year after year. Bay View is dog friendly! One well behaved dog allowed (£25/week). Click picture below for more details. To book/check availability, click here.